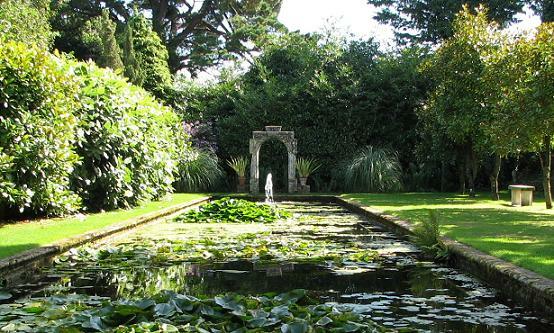 The formal Arts and Crafts gardens at Athelhampton House were built in 1891 by Alfred Cart de Lafontaine. 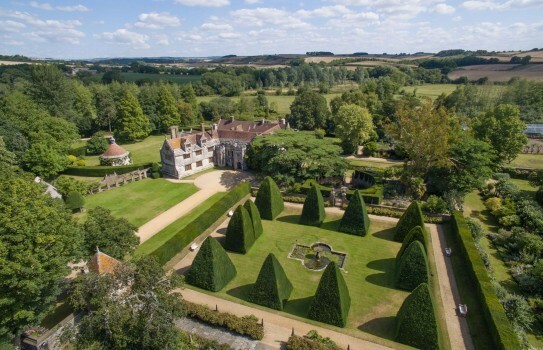 Athelhampton House and Gardens, near Dorchester is situated in rolling Dorset countryside near the historic town of Dorchester. Francis Inigo Thomas designed four Ham stone courts in the Elizabethan style with a series of ponds and a formal canal. The garden was influenced by the Arts and Crafts movement. Spring - Snowdrops and narcissi to hybrid hyacinths, camellias, magnolias, tulips. Summer - Roses, subtropical plants, herbs and many more. Autumn - Lovely autumn colours, and spectacular red vines along the walls. 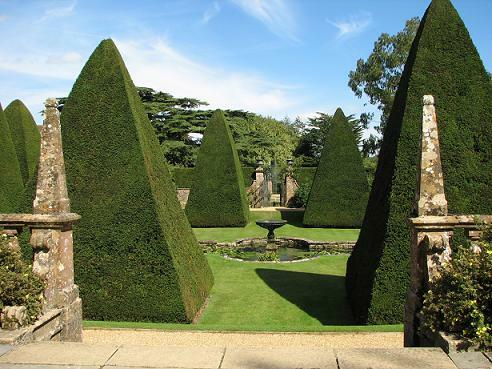 The gardens at Athelhampton House are quite charming and should not be missed. Also take time to visit the historic house with beautiful rooms, pictures and furniture. 2019 - Athelhampton House and Gardens - Open most of year (limited winter openings) - See website for days and times before travelling. Disabled access but some steps. Refreshments. If you want to find places to stay near Athelhampton House and Garden, why not stay in one of our recommended hotels. Hotels near Athelhampton House- click here.